With two weeks in August I’ve learned some new things. The exchange rate will remain against us but it doesn’t change our resolve, we’ll jump on aeroplanes and go to Spain, we just don’t return home with the donkey and the sombrero now. And yes, Ryanair purposely do hard landings to save on tyre wear and shave turnaround times. The UK could learn a thing or two on how to charge for public transport. Buses and trams are cheap and people use them. Alicante town and Altea are lovely. Benidorm is what you make it, it’s not all the mad drinking that the UK media play out. During the high season mobility scooters are a lot less common, in October it’s mobility gridlock. Finally Belfast International’s international arrivals could do with a lick of paint and keep immigration on the same level (ie, the ground floor). Just saying, it’s depressingly grey to come back to. Heck knows what out of country visitors make of it. Aside from all that it’s a good time for me to catch up on reading as I don’t get a huge amount of time. So here’s what was in the bookshelf, in the carry on bag and in my shoulder bag. Never be without a book…..
A surprise find in a small newspaper/bookshop in Benidorm. The book is broken up in the different areas of science, philosophy, business, technology, economics and so on. And it’s a great read, plenty of new things to learn that I wasn’t aware of. It’s not a technology book but there are some very interesting points to learn from. Around about 23 people came up with the idea of the lightbulb, during the same period of time as Eddison did. So how to does a company/person claim more patents on “inventing” something when the idea is usually shared? I only ever find HBR books in airports, I only bought it for one article in reality about the ownership and curation of Artificial Intelligence models. The other articles are great too. The story of Paul English who was one of the founders of Kayak. It’s a read about English, not about Kayak though that does feature in and out of the book. It’s a good grounding in his thought process, which can be all over the shop (so not just me then). Sometimes the writing tends to go on a bit, I think it could have been shorter. I bought this for my not-so-wee-one but it’s taken permanent residence in the living room table for everyone to read. While Tarah has written and curated a brilliant book on women in tech the information is really a must read for anyone wanting to be in tech. Like I said in a previous post, I wish I had this book thirty years ago. I’m blessed, I get to do some interesting Spark work at Mastodon C but finding good reading material on the subject can be hard. The general rule of thumb is if Holden has been involved then I read it. The is about getting the most out of Spark from SparkQL, ML and how to get the best performance out of RDD’s. The code is in Scala as you’d expect but that shouldn’t be a worry if you use Python, Clojure or Java. You’ll figure it out, that’s what you’re paid to do. Airlines have long perfected the yield algorithms over the years to determine flight prices and the break even point. The basic rule of thumb is the closer you get to the travel date the more expensive your flight will be. So it looks like seat auctions are on their way back, once you’ve already bought your seat. The Economist ran a report yesterday on the increasing use of auctions on premium seats, a rather nifty way of upselling to the traveller once they’ve already parted with the cash. Depending on the airline and whether you need to be enrolled on one of their programmes will determine what your options are. Interestingly Richard Kerr, aka The Points Guy, offered a handy calculation as a rough guide as what to bid. So I thought I’d give it a whirl. Previously I’ve done auction systems in the airline industry but that was for the entire aircraft, not a single seat. Fun, fun, fun indeed. Okay, suppose I want to fly from London Heathrow to Dubai (LHR -> DXB). What I first need is the basic economy price and then the price for the premium economy. So the question is, what to bid? The Points Guy offers a simple equation that gives a sensible guide price. The percentage can be anything you want but the guide set by The Points Guy is between 20-40%. To implement this in Clojure is easy enough, it can be done in one line. So using the prices I have for the LHR->DXB flight, I’m going to add 20% and see how that looks. A suggested bid price of £739.19, a potential saving of £228.81 on the premium economy class price, that’s promising but that does not take into account factors such as how many other people are bidding, scarcity and so on. There’s nothing to stop you bidding the absolute minimum of £1 for example, depending on the number of bidders (which is highly controlled when you think about it). Perhaps you were flying on a Boeing 777 which can average a capacity of 382 seats depending on configuration, with an 80% load factor that’s 306 people who could bid but only a small percentage, 8% or so, would actually want to bid (not everyone is competitive or has the cash for example). So theoretically 24 people actually bid…. Then you’re into bid psychology and proper statistics, this post really needs a part 2…..
First things first, what is presented here is an opinion so please read it and take it for what you will, any ideas presented would have to be researched further. Which sounds odd to start off with, a rate payer funded airport. The budget for 2015/2016 stands at around £3.5m for the running of the airport, how that’s broken down is anyone’s guess. Like Manchester Airport, City of Derry is run as a split out company with Derry City Council being the sole shareholder. It’s halfway over it’s 10 year contract to Parsons Brinkerhoff to run the airport. The airport master plan, last published in 2012 from what I can see, is revised every 10 years. The aim is to have 1.2m passengers annually by 2020. The two remaining airports in the province, Belfast International and Belfast City are privately owned by ADC & HAS and ABN AMRO respectively. It’s not a great time for council run City of Derry Airport (LDY). The passenger numbers have been in decline for a while and it’s very difficult to say which way things could go for the airport. My original hypothesis for the decline was due to the increase of popularity of The Airporter coach service but the more I thought about it the more I thought I was wrong, not being able to get passenger volumes (I didn’t ask directly to be clear) also brought that line of investigation to a close. Ultimately I don’t think it’s The Airporter’s existence that’s causing the problem at hand. Interestingly the decline was happening before the UK City of Culture year, that failed to peak the incoming airport traffic. The July/August peaks were consistent but in slight decline which could be caused by social/economic influence like income, increased cost of living etc. The cost of holidays are still expensive and when price is a big issue most are willing to fly from anywhere where the price is right. By 2015 City of Derry forecast was expecting 550,000 passengers for the year, up from a dip from 2014 post City of Culture. If you compare July/August over the five year period the UK City of Culture didn’t make much difference at all. The drop in July/August 2015 is more than an average month of passenger volume for 2015 itself (23,710), it’s like it lost an entire month’s worth of traffic overnight. The biggest concern is the holiday market collapse in 2015 where there is a marked decline and a large contributing factor to the collective drop is passenger numbers from 2014 to 2015. So what could be the causes of that decline and what could be possibly done to revive it. Since the 2012 City of Derry Airport master plan was published the number of routes has declined. The Dublin route stopped in 2011 when the Irish agreement to have a flight to Dublin was closed. There hasn’t been one since though it’s due to start again this year with City Wings. 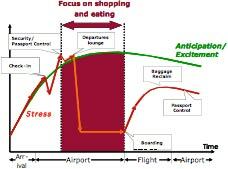 The mix of airlines causes concern personally, having 80% of your passenger volume served by one airline is a risk. Ryanair currently serve that traffic but the obvious concern over the next two or three years is the opening of routes from Belfast International. There’s much talk of what could potentially happen if Ryanair transfer or close routes from City of Derry, it was one of the first questions I asked myself too. At present the routes served from Derry are London Stansted, Glasgow, Liverpool and Faro. The airport’s focus is regional traffic with holiday traffic for the summer months (traditionally served by Falcon Holidays). An airport has to market to a number of different sectors: airlines, ground handling suppliers, other airports for routes and most importantly the passengers themselves. Air passenger duty is a tax, a fact of life as it currently stands. While there’s a lot of talk of passenger volumes rising if the APD was scrapped for short haul (APD was dropped on long haul flights) people will still want to fly and will pay. Whether the passenger numbers rise when APD is scrapped is one that can be happily debated elsewhere, personally I don’t this it will make much difference. One of the major put offs for me personally is that I can’t fly from Derry to London in a day. This is important for any business traveller, important to be out and back in a day where possible. Ryanair’s flight from Derry to London Stansted is a good example of that. The arriving flight is the only flight in and that provides the only flight out for the day. One of the key benefits of the EasyJet flights from Belfast International, or FlyBe flights from Belfast City, is the return leg on the same day. The earlier the better too, can I be at a meeting in the centre of London for 9:30am? From Derry, not yet…… some live in hope. Where short haul flights have no same day return option they are traditionally difficult to market to customers. So for the time being I’ll be on the road at 3:30am to get my 6:25am flight from Belfast International. Trust me, if I could keep the lie in, I would. The route mix of an airport is critical to it’s success for it’s target catchment area. Now to be fair the 2012 master plan’s dreams were promising with wanting to have routes to Paris, Frankfurt, Munich, Pisa, Rome, Barcelona, Malaga, Lanzarote, Amsterdam and a list of UK destinations such as Leeds Bradford, Bristol, Southampton, Newcastle, Heathrow and Gatwick. If you read that list and lived in Derry, well you’d be happy to fly from your local airport any day. Anyone from Derry City Council or City of Derry Airport are reading this, Tenerife South want to talk… they have you down as a desired airport still. (Aena’s marketing team are on +34 913 211 052). There’s a number of positive things that could be done to improve matters. Key is the route choice, it has to increase. The primary focus being on UK routes such as Newcastle, Leeds Bradford, Manchester (which FlyBe served in 2011), Southhampton and obviously Heathrow and Gatwick. Not just that, they have to be served as return flight in the same day for business travellers. This is going to be difficult as essentially City of Derry Airport is the end of a spoke in a a Hub and Spoke system, another point I’ll raise shortly. Secondly summer traffic, historically the reliance has been on the holiday company charter traffic. City of Derry is missing out on this market at the moment and it needs to find a way to boost it. For Belfast International EasyJet, Jet2 and Thomas Cook serve the same European destinations so there’s choice of departure days and prices available. The rise in customers buying flight/hotel deals online has risen and the likes of AirBnB make the notion of a package holiday a lot different from what it was. The airport has to find airlines that will serve these routes without being tied to package holidays. Plus the additional benefit could be from European visitors coming into Derry to visit, everyone should benefit during the summer months. At present the airport can realistically handle two Boeing 737’s on the apron at anyone time. The 2012 master plan wanted to increase that, I think four is a good number in an attempt to double the capacity without overloading the terminal capacity. There’s little mix of shopping facilities in the terminal at present, it’s mainly a large seating area which gets blocked up when people are queuing to board Ryanair flights. Four aircraft on the apron with four departure gates. While the peak volume hour wouldn’t shift drastically (@ 350,000 pax (at 55% departure volume as the master plan states) the standard departure hour is 65.9, peak would be 1.2x from that so 79.1 per hour). An expansion of the terminal would be of benefit to the external spend per passenger. A better range of facilities such as Duty Free, restaurants and bars would increase the dwell time spend. In the larger airports there’s a two hour window of opportunity to catch that spend, with small airports such as City of Derry that’s vastly reduced. The key is a mix of facilities to increase spend. It would also boost jobs in the area. The three Northern Ireland airports have the appearance of being in competition with each other. A radical approach would be for City of Derry to be acting as a feeder airport into Belfast International. Here’s my rational, hypothetically I want to travel from Derry to Newark, at present that means either driving or getting a coach to Belfast International or Dublin. Theoretically I should be able to check in locally in Derry and fly to either BFS or DUB to my connecting flight. Okay, so it’s a long shot but that’s what expected if I wanted to travel to Dubai for example, it’s over to Heathrow (not served by Derry either) then onto Dubai. Derry can’t operate as an island, it has to connect to the major hubs whether they be Belfast, Dublin (happening soon) or Heathrow/Gatwick. If it can address that market then passenger numbers will rise as a result. What I’ve presented is hardly a deep analysis and it doesn’t take into account important factors such as environmental impacts and noise pollution for example. What’s clear though is the master plan from 2012 hasn’t gone the way anyone had hoped and I’m some serious questions are being asked or being mulled over. City of Derry Airport shouldn’t close but it needs to market itself realistically to the catchment area it serves. It should be an airport working with other local airports to market Northern Ireland and the Republic as a whole. The routes are key to making this happen and reducing the reliance on one airline must be worked on with the current climate. If City of Derry can offer a good mix of same day return departures on domestic routes and an expanded low cost entry to European destinations then there’s a good chance that customers would return. Improved terminal facilities would increase dwell time spend and increase the local employment. It’s easy to sit and play armchair judge and listening to some politicians they’d rather see City of Derry close and increase the passenger numbers to Belfast International, the reason for that is simple, Dublin is way more popular than Belfast International on long haul routes and with far more destinations available. I believe City of Derry need to refocus the business plan and the master plan. Yes it will take investment to expand terminal capacity and attract new airlines to operate from there. I’ve not even talked about the lack of cargo traffic or the upturn in private air traffic, so there’s scope there too if desired. With Routes 2017 being hosted in Belfast next year City of Derry Airport has a chance to pitch itself as the airport that aligns itself with the other airports, providing the whole province the ability to travel where it needs to go. Now if only I could get a ticket…..